Anyone who uses Facebook Messenger has sent a message they didn’t want to at least once. I know a guy who does it a few times a day. Whether it’s a horrible meme that you accidentally sent to your super religious mother or you mistakenly responded to someone who was trying to get you to sell essential oils with them, you now have ten minutes to act. 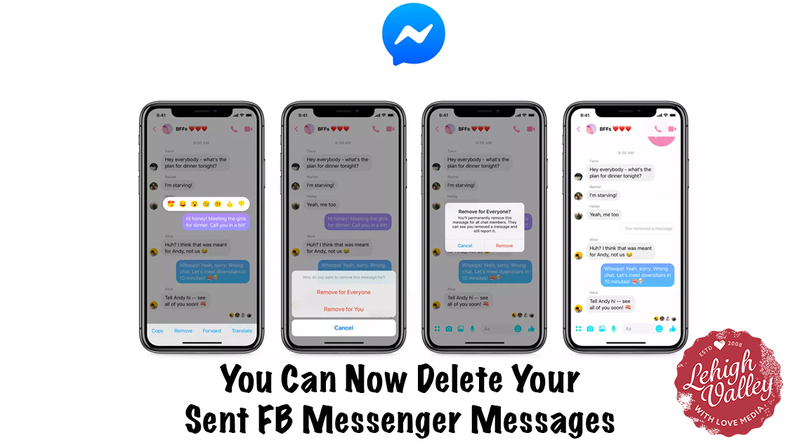 Facebook has come out with a feature that lets you delete messages from a conversation after you’ve sent them, as previously spotted in leaks. So in case you send the wrong message to the wrong person or make an egregious typo, you’ll be able to remove it in Messenger now. The feature, which we’ve all pretty much wanted or needed to use at least once, wasn’t available until after it was revealed Facebook CEO Mark Zuckerberg was able to delete his sent messages a few months back. Once that information came out, people clamored to have the same ability and here we are. The one catch is that you only have ten minutes to “unsend” your message, otherwise you’re stuck. So, for those who are horrible at remembering what group chat they’re in or for those who have made the horrible decision of adding their boss to Facebook Messenger, you have 10 minutes to remove that really bad dad joke that didn’t quite fit with the mood of the conversation.